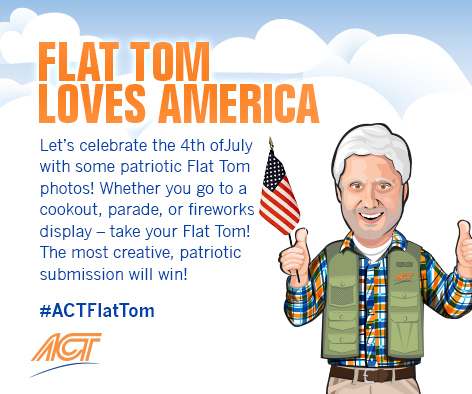 ACT’s Flat Tom Facebook Contest Is Back! Are you an ACT driver and want to win freebies? Then you’re in luck! 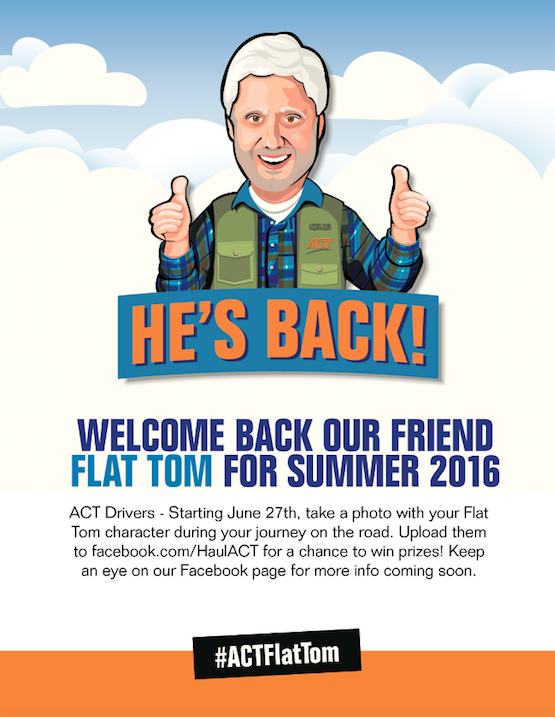 American Central Transport is excited to bring back Flat Tom this summer and give you the chance to win BIG. 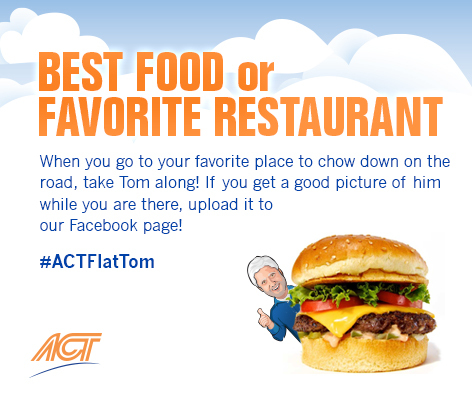 Kicking off June 27, the #ACTFlatTom Facebook contest is a fun and easy contest for drivers to participate in, no matter where they are on the road. Here’s how it works. Step 1. 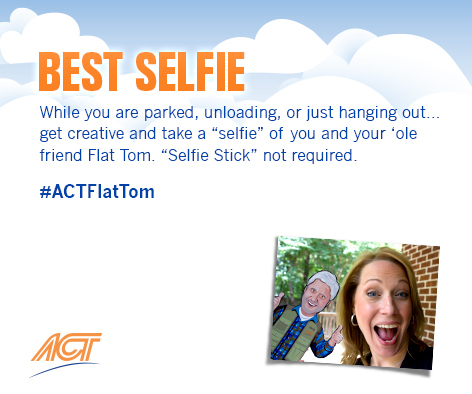 ACT will provide a printed Flat Tom character to take with you over the road. OR click here to save the digital version. We’ll be giving away weekly prizes to participants throughout the summer. 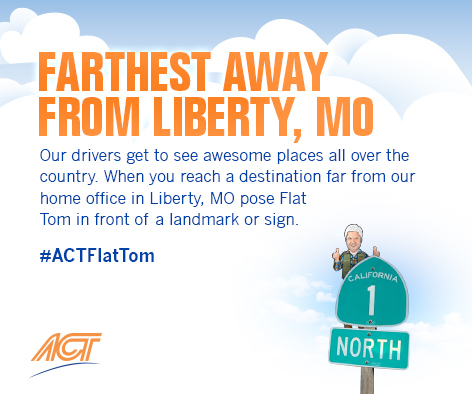 We’re looking forward to seeing your Flat Tom photos during your summer journeys on the road! While you’re at it, give us a follow on Twitter. Please remember to only use your mobile device while parked. Good luck, ACT drivers! He looked down and started on his eggs and the waitress filled his mug. When he finished, his bloodshot eyes stared at the wall. The waitress, a friendly gal, then tried to restart the conversation with the lonely trucker. “Tell me about your family,” she asked. 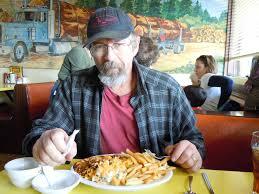 The trucker smiled, looked at the five dollar tab and put down a ten dollar bill. stayed on his face as he drove to his next delivery. An owner operator’s settlement statement does not show profit or loss. It shows cash flow week to week. Successful independent contractors not only manage their cash flow but also have an accounting service (such as ATBS) prepare monthly profit and loss statements to manage their profit/loss. They keep their eye on the big picture and review monthly financial statements to identify any areas which need to be improved. We all want to improve top line, your revenue. But to really generate profit, you need to keep an eye on the bottom line. The factor you have the most control over is expenses. If you analyze this carefully, you will learn that you will make more money by controlling expenses than you will by worrying about miles. It’s all about working smarter, not harder. The biggest expense you incur and the one you have the most control over is fuel. What you do with managing your fuel expense has a bigger impact on your profit and loss than miles. Our trucks are spec’d for good mpg. The greatest factor impacting mpg is the driver, his decisions and habits. I know many drivers who are experts at fuel management. They also get good miles. Their settlements are always outstanding, even in slow weeks. They have a focused discipline running their business. Assume you are a hard worker and generate 120,000 miles per year, or an average of 10,000 miles per month. If you drive fast to get those miles and get 6 miles per gallon, you purchase in that time 20,000 gallons of fuel. At $4.00 per gallon, you spend $80,000 on fuel per year. No expense, even the cost of the driver, is greater. Let’s assume that you decide to slow down and drive 65 miles per hour and get 7 miles per gallon. On 120,000 miles, you purchased 17,143 gallons of fuel. By saving one mile per gallon, you saved 2,857 gallons of fuel in a year. At $4 per gallon, that is a savings of $11,428, or about a thousand dollars a month! We have some drivers who drive the double nickel…55 miles per hour. They consistently get over 8 miles per gallon. If you drove 120,000 in a year at 8 miles per gallon, you would purchase 15,000 gallons in that year, a savings of 5000 gallons per year over the guy driving 70 miles per hour. At $4 per gallon, these drivers save $20,000 per year! Let’s discuss our fuel network. Some use it and some don’t. ACT passes 100% of our volume discount to owner operators. So far this year, we have averaged .25 cents per gallon discount off of the Comdata street price. A driver burning 20,000 gallons per year would save $4626 per year by simply using the Fuel Routing software to obtain the best prices in our network. That would buy a lot of showers. The owner operator who decided to slow down to improve mpg from 6 to 8 and used the fuel network would save $24,626 per year, or over $2000 per month. You can quickly see why a company employee driver who is a top performer is worth every penny of 45 cents per mile while one making 36 per mile is costing the company money. “My settlements show what I make.” No, it only shows the gross pay and authorized deductions each week. “If I drive slowly, I won’t get my miles.” Our information shows that some of the slowest drivers get the best miles. “My mpg is low because I get the heavy loads, the ones going over the mountains and the ones heading into the wind.” Guess what? Everyone gets the same freight, including the high mpg drivers. “I can’t drive less than 65 mph.” Wrong…you can, you choose not to….and you pay a price for that decision. “I get better mpg with Quick Trip Fuel.” Dude, they all buy from the same rack. Last year I lost a bet on Facebook. I promised all drivers making over 8 mpg a Barbeque lunch. I had lunch with several of them recently. A couple of them have made over $70,000 by August. They’re on a $100,000 per year profit pace. It was a combination of high mpg, attention to business and recruiting bonuses. They use ATBS and call them regularly. Only a handful of owner operators make this kind of money, but it shows that it can be done. It’s completely up to you. There are many other tricks to saving fuel. We are here to help you and we are free so utilize us! Our recruiting department will be happy to teach you how to make money as a driver recruiter also. If you make more money…we all win! 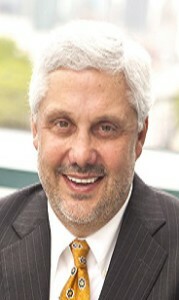 Trucking has experienced many changes in the past few years and will continue to do so in the future. We are looking toward a host of various new regulations being proposed by the FMCSA in the next couple of years, including electronic logging devices, speed limiting, changes to safety scoring, drug and alcohol data banks, hair follicle testing, increasing insurance minimum levels and a host of others now seen and yet unseen. “It is not the strongest of the species that survive, nor the most intelligent, but the one most responsive to change.” Nowhere is this truer than in trucking today. Between distracted driving by “Four Wheelers” and creative ambulance chasing lawyers, the risk we all encounter on the road is greater than ever. You may have recently seen the article from some unscrupulous lawyers in Maxim magazine showing a KW with the caption, “Serial Killers.” This contributes to our already false but bad image. As trucking becomes more complicated with regulations, lawsuits, and competition, the strong and most successful companies are those who can quickly adopt to change to become better. American Central Transport (ACT) has a history of taking ourselves out of our comfort zones when necessary to get in front of change. We are always one step ahead of the competition. We do this in service, compliance, safety, driver compensation and every other aspect of our company. ACT is always “Raising the Standard.” This is what makes us better than the others. Advancements are rapidly being made in safety technology. It can be confusing to sort it all out to pick the right solution. However, to the extent we can employ technology to protect ourselves, our careers and improve safety ,that is the right thing to do. Preventing accidents is always the high road and the right road. One thing that always keeps me up at night is the thought of a bad accident. 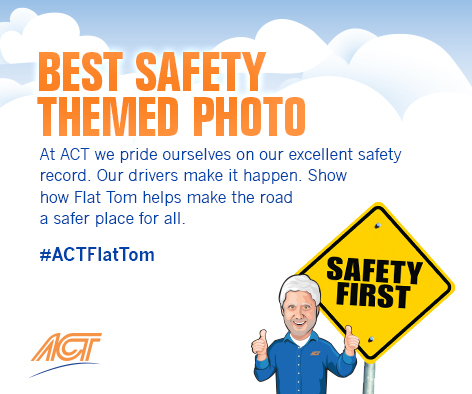 ACT’s culture has always been one of being legal….”by the book.” But we know that often safety means going above and beyond what is required by the law. We have tested various expensive safety technologies in the past and found that some of it is problematic. For example, we tested some anti-collision technology which applied active braking. We found some drivers complaining that the brakes took over at inappropriate times creating a hazard. There are other technologies, new, expensive and unproven. There is so much technology being developed today that there are many choices. One thing, however, is certain, and that is that technology will play an important role in our driving in the future. The question is not whether it will happen, but which technology will be the most helpful in protecting ourselves, keeping you safe and keeping those we share the road with safe. 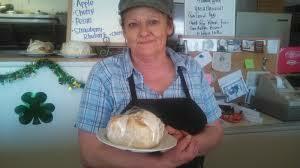 We work very hard to keep our safety good, and thus our insurance costs down. We would much rather have the money for our business than give it to ambulance chasers. We announced in our first quarterly conference call that we will be testing 30 event recorders in September for 90 days. They will be installed in August. If the test proves successful, these event recorders present an opportunity to get better while protecting you and ACT from frivolous lawsuits. I have heard that many drivers are buying camera recorders in truck stops. I have a couple of concerns about these. One is that they do not help us break bad habits or become safer. These are strictly a CYA device. The other concern is that since these are on an individual driver basis we have no control over the evidence in the event of a problem, something a plaintiff’s attorney would likely try to use against us. The event recorder could present a dual solution of helping our drivers and ACT protect ourselves from frivolous claims, while at the same time, providing some coaching opportunities to help us become safer. There is much false information about event recorders out on the driver rumor mill. I encourage you to get the true facts and learn more about what this technology can do for you.